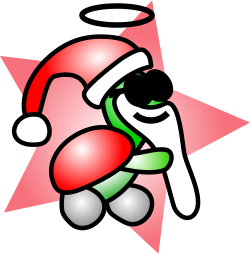 Supertortuga - Merry Christmas and a Happy New Year! Supertortuga wishes you all of the above, and hopes that you will have a pleasant end of this year and a great start of the new year! Supertortuga wishes you a happy 2017! Ha! Is that all I should do? That's piece of cake! To participate in the first live broadcast football game from the darks side of the moon. To invite Donald Trump to have brunch at a McDonald's. To invent and successfully implement a perpetual motion engine in my car to reduce the fuel consumption to zero. By the end of 2017 I will post a follow up article to let you know which ones of the promises have been fulfilled.